We've just received news from both the kitchen here at Smiths Hotel and from the Old Toll Bar about this year's Mother's Day offers....and they're irresistibly YUMMY! Fancy something special? 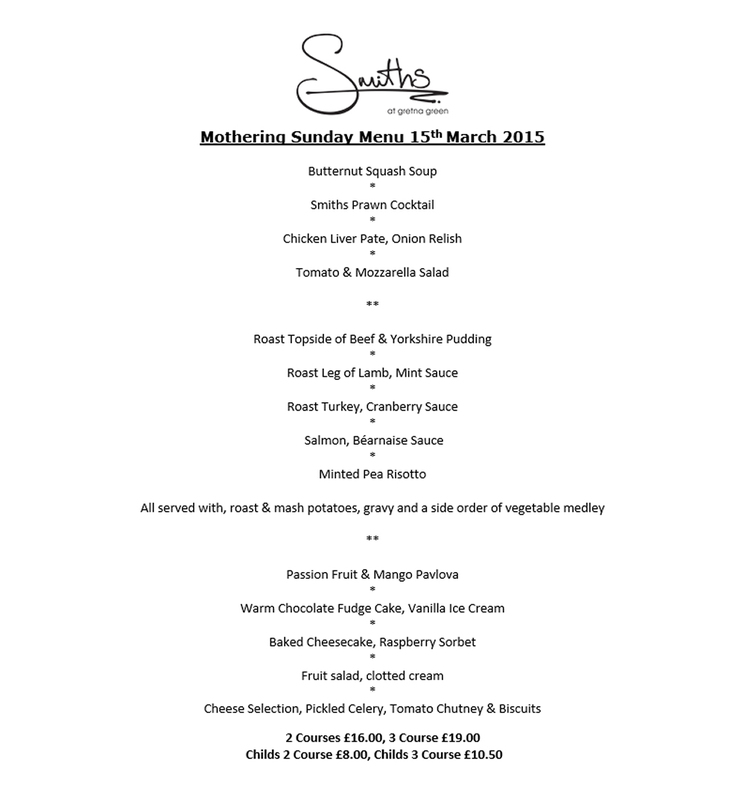 Come treat Mum to the Smiths Sunday Lunch Menu with the choice of either 2 or 3 delicious courses (plus smaller portions for any wee ones that come along)! 2 courses are only £16.00 and 3 for £19.00 (kids 2 courses £8.00 or 3 for £10.50). 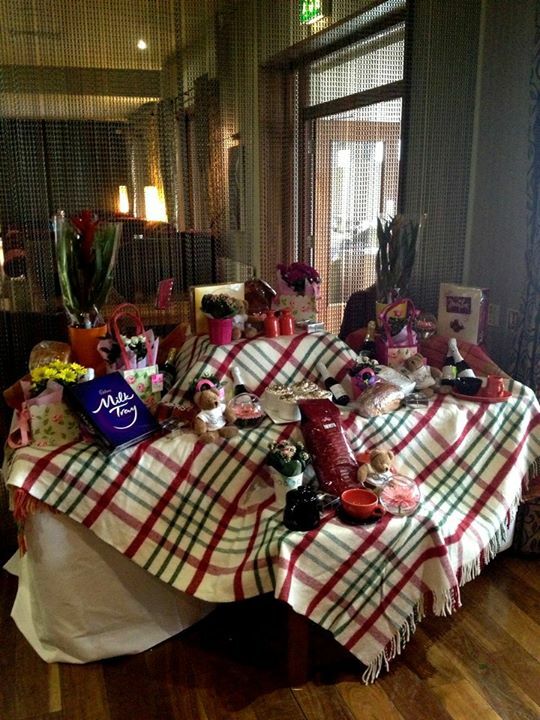 PLUS Mum gets a lovely gift from us here at Smiths too...we'll have a wee surprise awaiting her! Check it out! Please BOOK fast to avoid disappointment as tables get booked-up really quickly on 01461 337007 ... (Sunday Lunch runs all day from Noon). Looking for something a little lighter? 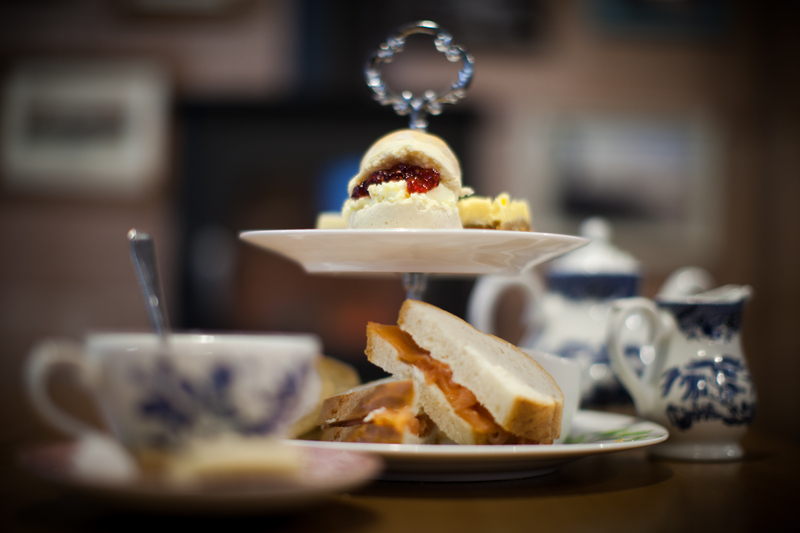 Our Afternoon Tea from the Old Toll Bar would be perfect! We'll have a selection of mouth-watering dainty sandwiches and homemade goodies (including scones, traybakes and cakes).....plus as much tea as you fancy! Toni will have this wonderful treat available from noon- 4pm for only £8.50 per person....booking is essential! Hurry! Spaces are filling quickly...reserve your table today on 01461 337007 (Smiths Hotel) or 01461 338461 (Old Toll Bar) to avoid disappointment!